Etosha National Park is one of the top parks in Africa. 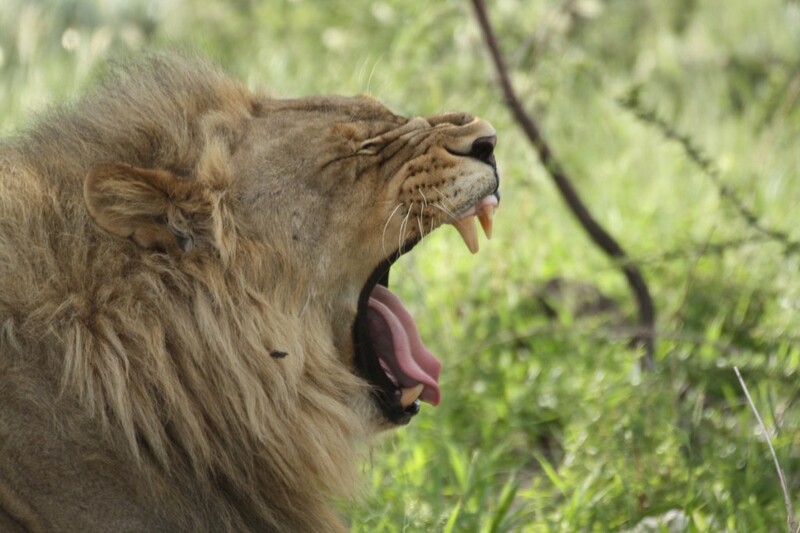 Other top parks in Africa for safari, especially those in East Africa, can get very expensive. 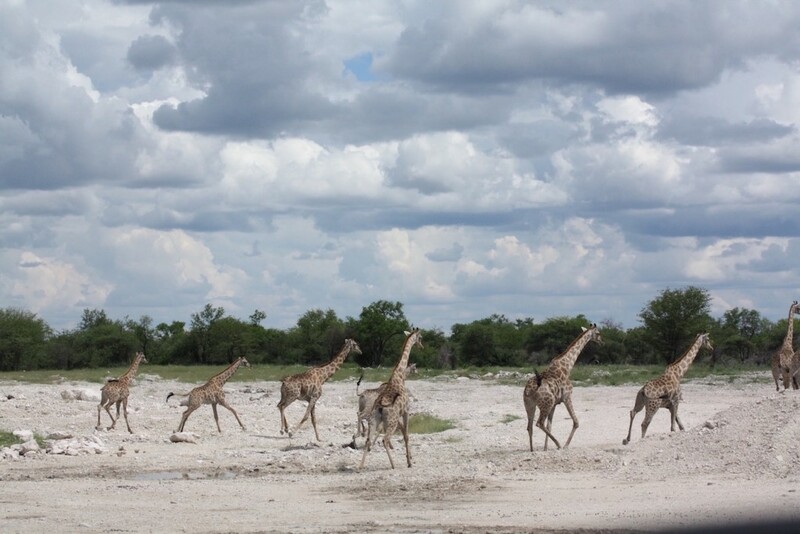 Etosha compared to other safaris is a bargain. This is perfect for budget travelers and backpackers alike. 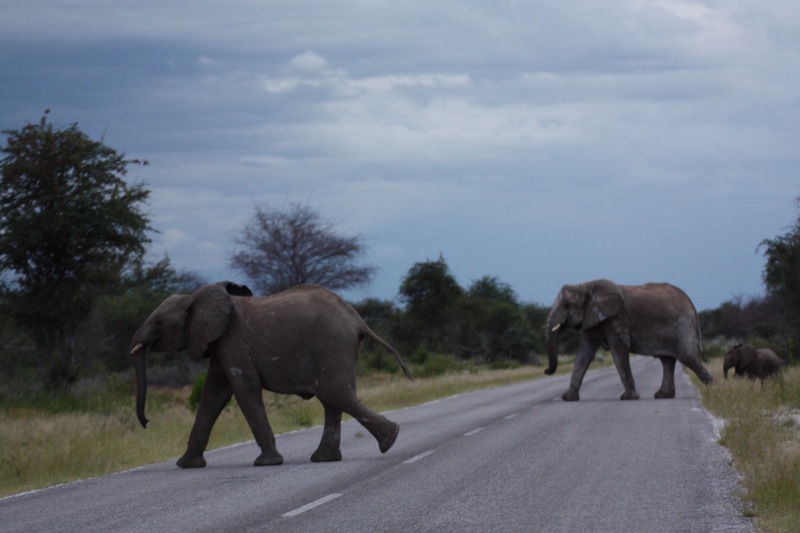 It also is a perfect safari for self-driving enthusiasts. It does not need a 4WD vehicle and is very accessible. 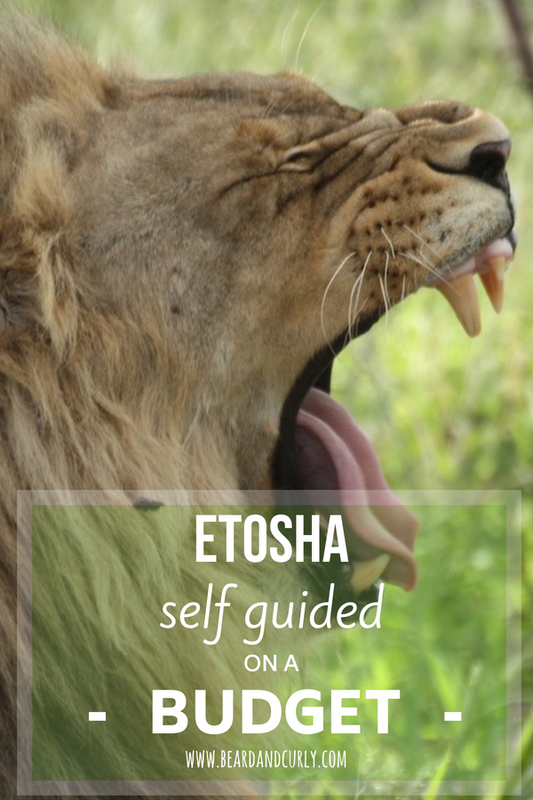 Our guide on Etosha National Park self guided on a budget will help with your pre-trip planning for that perfect safari vacation! The dry season is between June and October. 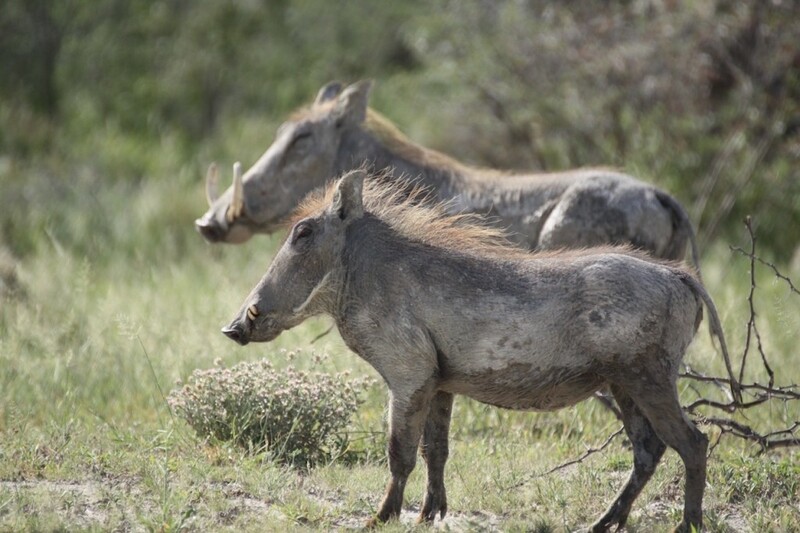 This is the best time to view wildlife in Namibia. Rent a car from Windhoek, where there are several different car companies. You can choose between a small car (Volkswagen Polo) or larger 4WD vehicles such as a Toyota Hilux. Etosha can be done with any car. Roads are good quality gravel roads. Expect to pay around $20/day for a small car and $60/day for a 4WD. Gate hours are from sunrise to sunset. Anderson and Von Lindquist are the most popular entrance and exit points. Anderson is the closest to Windhoek, about a 4 and half hour drive. 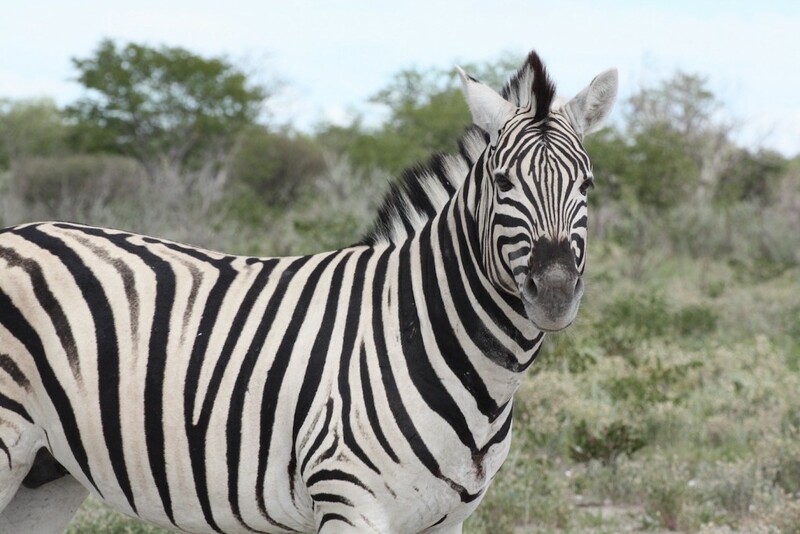 TIP: Drive to Etosha National Park and stay outside of the Anderson Gate for 1 night. Here you will find lots of game lodges and campsites. The other gates have limited options outside and are more expensive. We stayed at Eldorado Guest House and Camping, which was one of our best campsites in Namibia for $120 NAD per person (Eldorado B&B). There are five villages/camps throughout the park. We recommend entering from the Anderson Gate and departing the park from the Von Lindquist Gate. For a 2-day safari, stay Halali and Namutoni one night each. For a 3-day safari, stay one night each at Okaukeujo, Halali, and Numatoni campgrounds. Watering Holes are all throughout the park. Depending on the season and amount of rainfall, watering holes will change. Several are artificial and have water year round. In the dry season, most dry up aside from a few of these artificial watering holes. Watering Holes are the best place to see animals, especially during the dry season. The two best watering holes are in Halali and Okaukuejo. We went in the rainy season in March. There was a good amount of water, so the animals are more spread out. 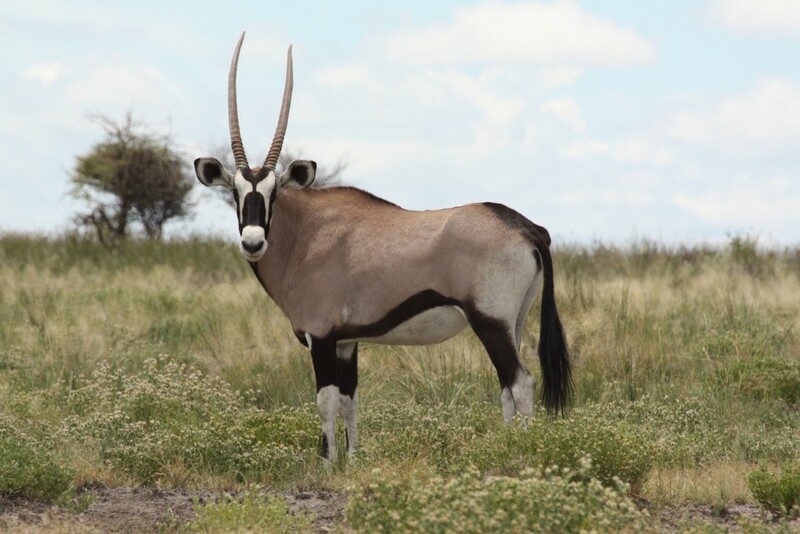 Okaukuejo and Halali are known to be the best for animal sightings throughtout the year. However, when we went Numatoni was the best for animal sightings. We spent 1 day exploring the Okaukeujo area. There were lots of animals at the watering holes Gemsbokvlakte, Olifantsbad, and Aus. 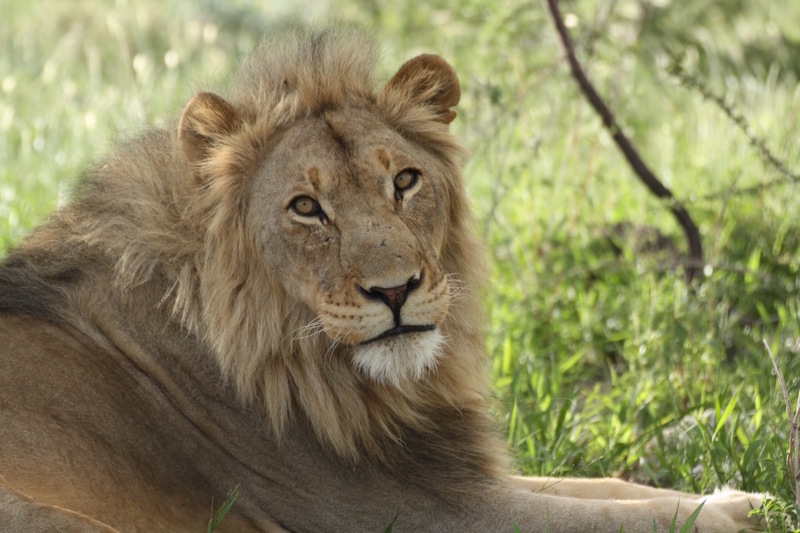 There was a male lion very close to the road in the Salvadora area. We drove all roads between Okaukuejo and Halali on day 1, ending around 6:30 pm. You also can visit the watering holes at the campsite (floodlight) for an evening viewing of the animals. On Day 2, we drove Rhino Drive to the Helio watering hole. We did not see any animals in the Halali area, so we drove to Namutoni. It seemed as if nearly all the animals were around Numatoni. 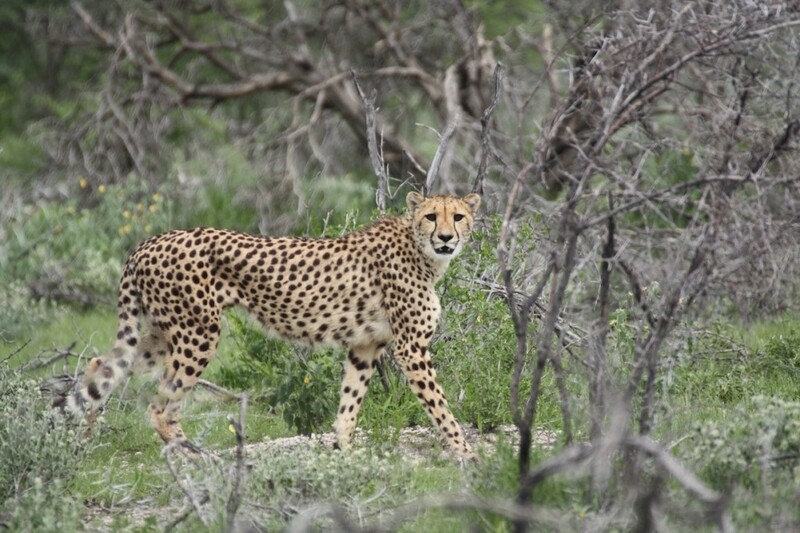 Just off the main road we spotted 4 cheetahs and 3 Lions. 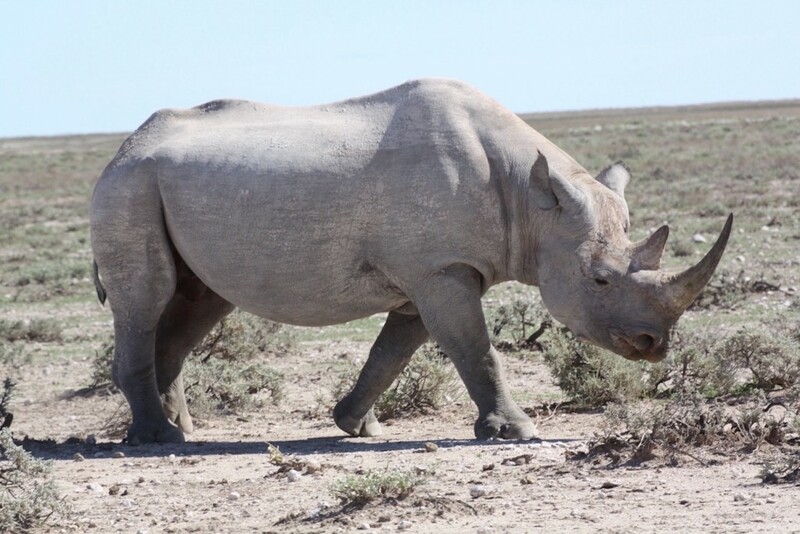 PS Your “White” Rhino is actually a Blackie. Or at least that photo is. Wow thanks so much for pointing that out. We always thought it was a White Rhino. I think the blackies is more rare. So Yay!